Learn how to age in Style! 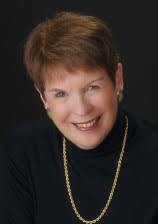 Catherine Mich holds a master’s degree in counseling from California State University, Los Angeles, and is certified by William Bridges and Associates for guiding individuals and groups through major changes and successful transitions. For the past 15 years, she has served as a transitions mentor, educator, workshop facilitator and caring coach; she is passionately committed to guiding clients on transformative journeys to empowerment. Cath will speak about Soul Life, Persistant Creativity and Aging in Style. Please join us at Baja Cantina, Thursday July 26. Come at 11:45 to order lunch. The program will begin about noon and conclude about 1:15 pm. If you can't join us in person, please feel free to use Go To Meeting and log in to Sequim Rotary.